We think old fashioned oatmeal is simply out of style. Your quick breakfast oatmeal doesn’t have to be boring and flavorless. Just a few simple and practical ingredients can make your morning oatmeal taste like a million bucks, or like a fancy beach-time cocktail. 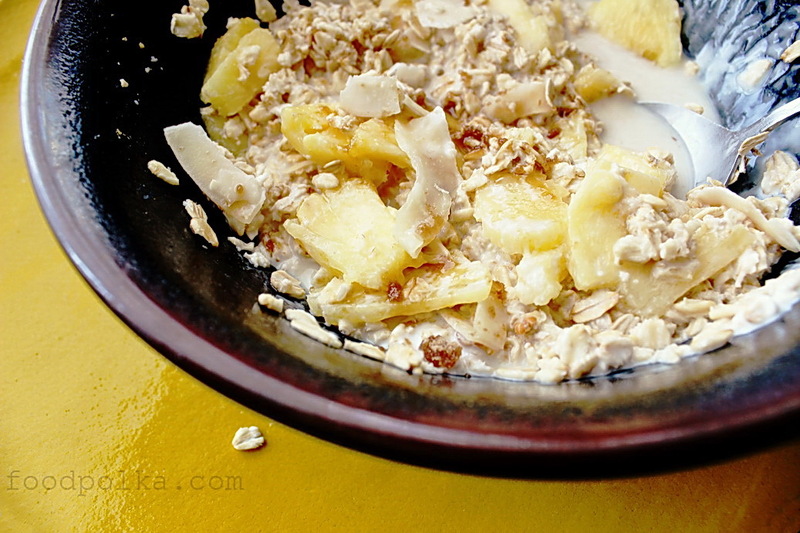 Here is a recipe that I made up once and named it “Piña Colada Oatmeal”. It will take that tropical drink you love so much and add the same exotic goodness to your morning routine. And one more thing. If you don’t have to go to work, go ahead and add some rum to it. Cheers! 1. Pour coconut water in a large breakfast bowl and microwave for 1 minute. 2. Chop finely one slice of pineapple and add to the bowl with coconut water, blend with hand blender or mix together smashing pineapple with a fork until sweet juice comes out. 3. 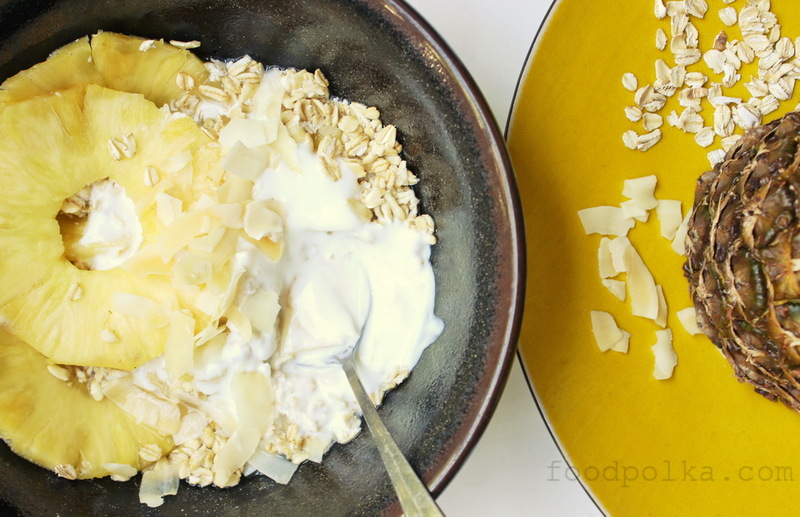 Add oatmeal, coconut milk (or natural yogurt) and remaining pineapple slices. 4. If you desire more sweetness add brown sugar to your personal taste.